Mistoria Estate Agents, part of the Manchester based property investment company, the Mistoria Group, has received a record number of enquiries for student accommodation ahead of the 2014/15 academic year. Despite the new term having only just commenced, the lettings firm has reported a surge in ‘early bird’ enquiries from those wishing to position themselves favourably, in securing the best houses in the most convenient location. In line with this, Mistoria Estate Agents are encouraging first time students to read their very own accommodation guide. The 9 page document entitled Guide to your First Student House, was originally launched in August to enable clarity in a potentially complicated field. Housing for first time students involves an element of responsibility, which for many can seem a daunting experience. The updated report, offers information with regards to the requirements students should be seeking from their accommodation, such as a good location, space and value for money. 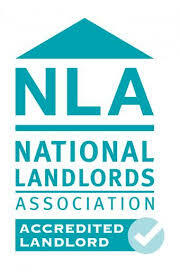 In addition, there is lucidity on more complex matters such as landlord obligations, deposits and holding fees. A check list for both moving in and out is also provided, with further information on minimising rising energy costs. Merry Christmas from Mistoria Estate Agents!